Thank you for taking the opportunity to view our site. On our website, you will find images of some of our state-of-the-art machinery that will be used to complete the job, as well as before and after photos of completed jobs.We at Mitchell Paving have been doing this type of work for going on two generations with 35 years of combined knowledge and experience. Our hard work and quality products have made us second to none. We hope our website is an informative tool in helping you make your decision. Our 35 years of experience allow us to give you the best quality job at competitive rates. So stop putting it off and let us put it down. Tired of putting it off, let us put it down from paving services, seal coating to repairs. Whether it is a driveway, parking lot, or private roadway we are here to serve all of your asphalt needs. Also, check our listing below for other services available from Mitchell Paving, located in Edgewood, MD. Maintain your driveway or parking lot with the seal coating & paving services from Mitchell Paving, handling areas from the Baltimore, and Edgewood, MD. We are a full-service residential and commercial paving and seal coating company, and we'll ensure that you are completely satisfied when the project is complete! Count on our staff for professional Blacktop Asphalt Paving or seal coating services, driveway paving, and more in Baltimore, MD. Mitchell Paving has a great selection of seal coating services and applications that are available in water and oil-based options. Depending on the application, we can help you decide on the best application for your property. 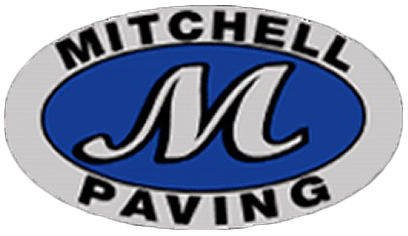 Mitchell Paving is a fully licensed, bonded, and insured company for your protection and peace of mind. Here at Mitchell Paving, we have been doing this type of work with a combined knowledge of 35 years with a solid reputation, so why not let us put our experience to work for you. Call us today for a free on-site no obligation estimate for your paving & excavating or seal coating project. Count on our staff in Baltimore, Maryland, for top-quality paving and seal coating services. We at Mitchell Paving believe the best way to complete a project is to make sure our owner has a hand in job completion from start to finish. From the estimating process to on-site job completion you will be able to deal directly with our owner, not an estimator and a crew. Contact us today for a FREE estimate! Use the information below or the form to the right to contact us. We look forward to hearing from you.